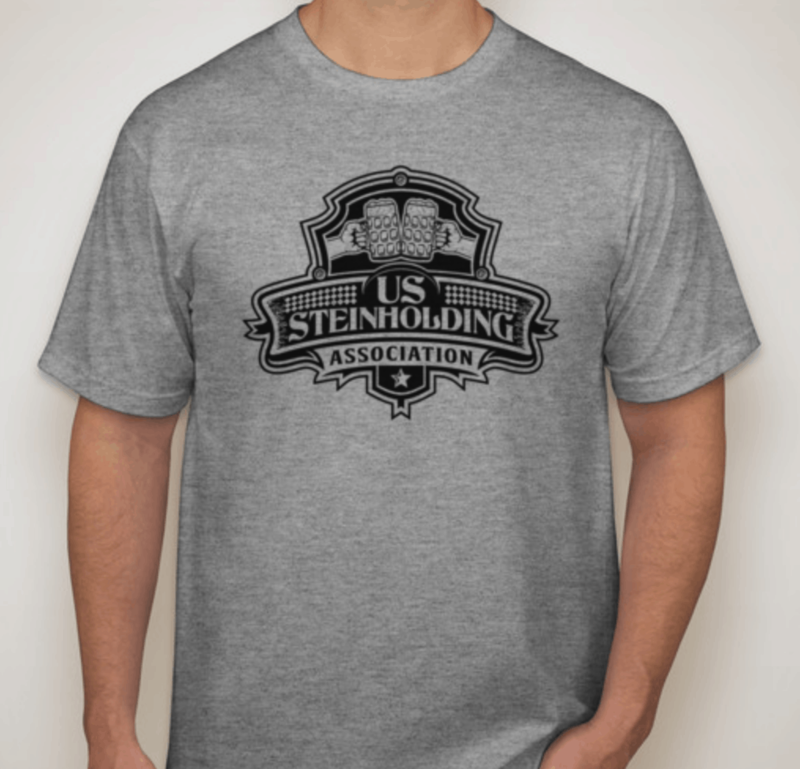 If you want to be a serious steinholding competitor at the national level, you won't get very far without practicing, so make sure you check out Training Techniques for Steinholding first and foremost to make sure you're getting the most out of your practice. If you're really committed and you want to take your training to the next level, incorporating strength training and endurance weight training is the next best way to help you improve your hold times. I found that most traditional weight training/powerlifting/bodybuilding exercises don't do much to focus on the front delts, so I did some research to find some good exercises and I even came up with a some new techniques that would help me build strength and endurance in the front delts. I tried to come up with things that would challenge not just the front delts, but the entire shoulder girdle, scapular stabilizing muscles and the core to help work just about every muscle that gets worked while you are steinholding. My favorite way to do core/ab exercises is to alternate them in between sets of other regular exercises because it gives the main muscle group you are using (chest on bench day for example) a little time to rest between sets but also keeps your heart rate up and keeps you moving so you aren't wasting any time or cooling down too much. So I tried to focus here on exercises that work your shoulders and core at the same time. You're training to be a national champion- you don't have any time to waste on bullsh*t.
I tried to put together a good description of how to perform these exercises, but you can easily find dozens of youtube videos for each one (other than the ones that I made up, which I will hopefully make videos for one day). Waiter walks: This one I didn't make up, but it's a valuable non-traditional core exercise that also helps hit the delts a little. Choose a weight that's a comfortable, light warm-up weight for you to dumbbell military press. Pick up a single dumbbell in one hand and hold it up at head level with your upper arm parallel to the floor and your elbow bent at 90 degrees like you are near the starting point of a shoulder press. The pose is similar to a waiter carrying a tray of food (hence the name), except the weight is not food and you are probably sweatier than anybody I would want handling my food. Hold the weight there, keep your core tight, stand up straight with good posture and walk slowly and deliberately for about 40 yards, switch hands and walk another 40 yards. For me, this is about 4 lengths of the inside of my garage, but the distance and weight combination that you choose should be whatever gets your shoulder and obliques burning and tired by the end. Most people do this exercise with their weight-bearing arm extended straight above their head and locked out. I find that it works the core and delts way better with your arm at a 90 degree angle. Try them both out and see what feels the most comfortable for you. Stein walk: You can use either a full stein or a light dumbbell for this. Pick it up and hold it out in front of you with a straight arm in the same style/form you would use when performing a stein hold. Hold the weight there, keep your core tight and walk slowly and deliberately for about 60 yards, switch hands and walk another 60 yards. This is one set. You can also measure by time instead of distance if you prefer. This obviously works your front delts because of the angle, but the walking motion also forces you to use more of the stabilizing muscles in your shoulder, arm and back that a stationary isometric hold wouldn't hit. Dumbbell raise progression: This is a great exercise but the following was extremely tedious to type out and you are probably better off watching the video (video coming soon). Start with two very light dumbbells. Five pounds is probably a good starting point if you don't usually lift, otherwise go with about half of what you would normally do if you were doing normal dumbbell front raises. Start with one dumbbell in each hand, resting at your sides. Keeping your arms straight, very slowly raise both dumbbells up in front of your body until your arms are slightly higher than parallel with the floor. Hold the dumbbells straight out for a 3 count, then keeping your arms straight, slowly spread your arms until they are about halfway to being straight out at your sides (each arm should reach about 45 degrees from directly in front of you). Hold for a 3 count and then, keeping your arms straight, very slowly lower both dumbbells down to your body. Then immediately, but without bouncing them off your legs, very slowly raise them back up to slightly higher than parallel with the floor, with each arm still at about 45 degrees from directly in front of you. Hold for a 3 count and then slowly spread your arms the rest of the way out so that they are straight out at your sides. Hold for a 3 count and then, keeping your arms straight, very slowly lower both dumbbells down to your body. Then immediately, but without bouncing them off your legs, very slowly raise them back up to slightly higher than parallel with the floor, with each arm still straight out at your sides. Hold for a 3 count and then slowly bring your arms back inward to about 45 degrees from directly in front of you. Hold for a 3 count and then, keeping your arms straight, very slowly lower both dumbbells down to your body. Then immediately, but without bouncing them off your legs, very slowly raise them back up to slightly higher than parallel with the floor, with each arm still at about 45 degrees from directly in front of you. Hold for a 3 count and then slowly bring your arms the rest of the way forward so that they are straight out in front of you. Hold for a 3 count and then, keeping your arms straight, very slowly lower both dumbbells down to your body. This is a single, very long rep. Do this entire thing 6 times for one set and if you don't hate everything by the end of the set, do it a couple more times and add some more weight if you're really feeling saucy. This exercise hits your delts from a bunch of angles and combines the benefits of concentric, isometric and eccentric exercises into a single exercise. It also puts some focus on your back, similar to what you will be experiencing during a prolonged stein hold. Stein / weight hold with irritation: You'll need help from a friend on this one. Similar to the stein walk, this hits the stabilizing muscles in your shoulders and your core. 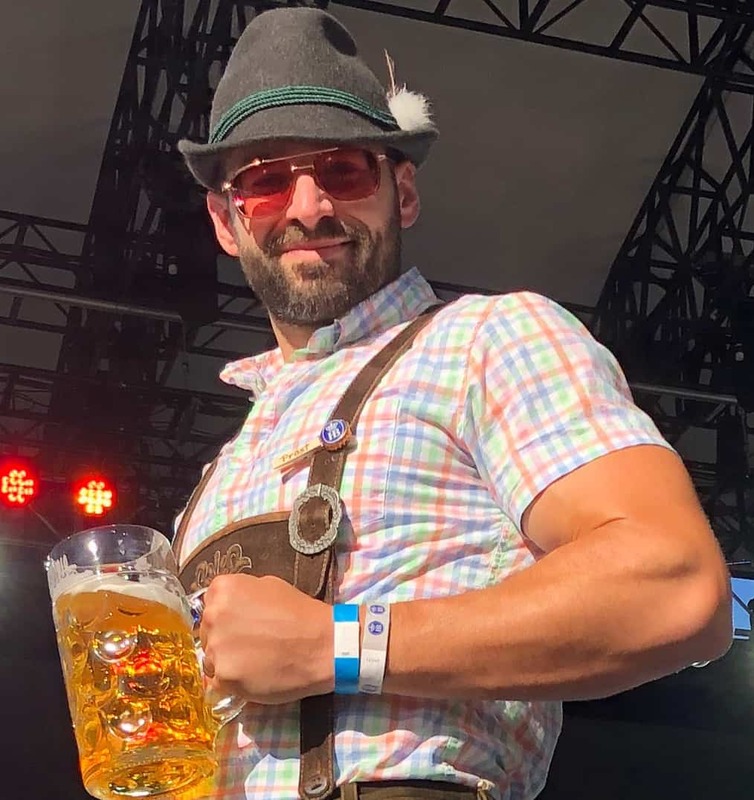 Hold a full stein or a dumbbell out in front of you with one arm using normal steinholding form. Have a friend push your stein up and down and from side to side and do everything you can to keep it in the same position. This is annoying and difficult, but it's also a worse-case attempt at steinholding that's harder than anything you will have to face in a competition. This exercise challenges every possible angle of your deltoids and really helps work your core stabilizing muscles. Close grip military press: If you've done any weight training, you are probably familiar with the military press since it's the most basic and effective exercise for building overall shoulder strength. A close grip military press helps focus more on your front delts. I find that a curl bar works the best and most comfortably for doing close grip because of the cambered (slightly bent) bar and the alternative angle that it provides. It's more comfortable on the wrists for me. Also, you can do these palms up or palms down to get a slightly different angle as well. For the starting position, your hands and forearms should be against the side of your chest. As you start each rep, focus on keeping your elbows facing forward as much as possible without letting them flare out to your sides. Luggage lift: This probably my favorite core exercise because it works great early on in a workout to get your heart rate up and get you warmed up quick. Your starting weight will vary a lot based on your current level of core strength and overall fitness, and this is an exercise that will probably work muscles you don't normally work in this way, so start low and see how you feel and then adjust accordingly. Start with a dumbell, curl bar or barbell in one hand, with the ends of the bar facing in front of you and behind you (neutral grip) and your other hand straight down at your side. Your feet should be just about shoulder width apart (go a little narrower or wider if it's more comfortable). Tighten up your abs, squeeze your shoulder blades together, puff your chest out and slowly squat down until your hand holding the weight/bar goes a couple inches below your knee level, then slowly extend back up to a standing position. Do this for 10 reps and then switch hands and do another 10 reps. You'll feel it in your legs a little bit too, but this is mainly a core exercise that will get your lower back, abs and obliques all going. Keep in mind that it's a core exercise, so don't go crazy with the weight, especially the first couple times you try it. Get to a comfortable weight to do sets of 6-10 reps and don't push it too much because doing an exercise that favors one side at a time like this carries a higher risk of injury if your form isn't good or if you overdo it, especially when the lower back is involved. The first set will feel the hardest and once you are warmed up, it will get easier, but still, be cautious.